The ADS 70/8 is a dosing system with eight dosing arms in carousel form. This allows a compact layout. It is designed for big amounts of berries. The empty punnets - provided via punnet conveyor - get filled with berries during one carousel rotation, and discharged to a subsequent punnet outlet conveyor. 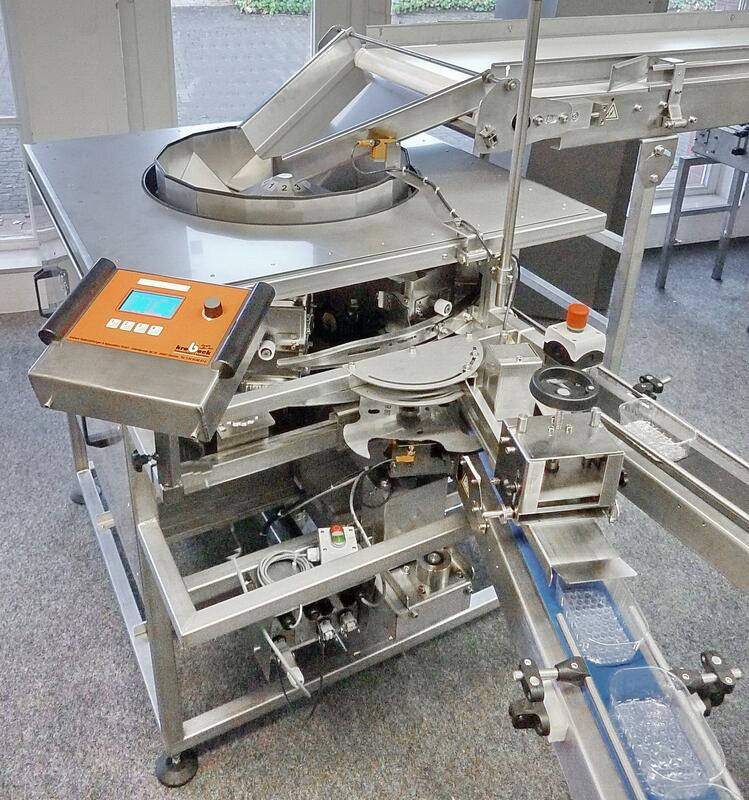 The ADS 70/8 is central part of a complete weighing and packaging line. The infeed conveyor (inspection belt) can be placed from various angles against the carousel, depending on the onsite space availability. With a change of punnet size, parts of the punnet guide rails and the entire carousel are automatically adapted to the height of the new punnet. Plastic belt, suitable for food, slightly knobbed texture. About 90 punnets per minute, depending on target weight, system settings (fine tuning) and product infeed distribution. Dosing system in carousel form, with automatic height adjustment for punnet changes. Simultaneous filling of eight punnets during one carousel rotation, punnet recognition, filling level sensor.